Statistical learning approaches, bounded mainly to knowledge related to perceptual manifestations of semantics, fall short to adequately utilise the meaning and logical connotations pertaining to the extracted image semantics. Instigated by the Semantic Web, ontologies have appealed to a significant share of synergistic approaches towards the combined use of statistical learning and explicit semantics. 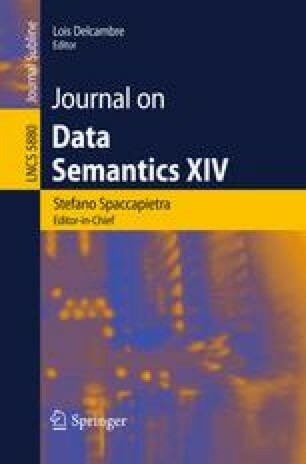 While the relevant literature tends to disregard the uncertainty involved, and treats the extracted image descriptions as coherent, two valued propositions, this paper explores reasoning under uncertainty towards a more accurate and pragmatic handling of the underlying semantics. Using fuzzy DLs, the proposed reasoning framework captures the vagueness of the extracted image descriptions and accomplishes their semantic interpretation, while resolving inconsistencies rising from contradictory descriptions. To evaluate the proposed reasoning framework, an experimental implementation using the fuzzyDL Description Logic reasoner has been carried out. Experiments in the domain of outdoor images illustrate the added value, while outlining challenges to be further addressed.